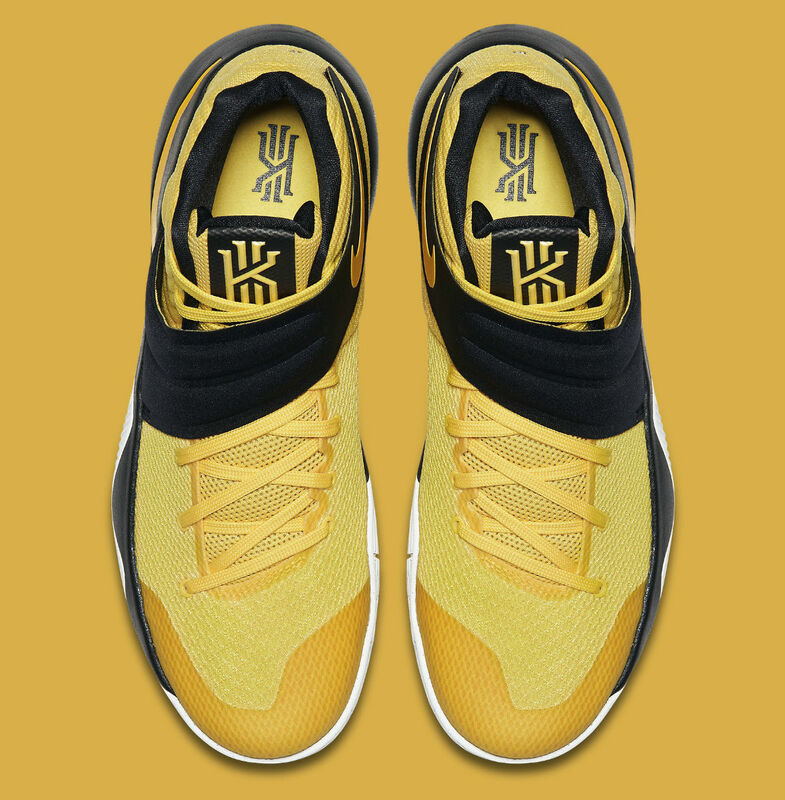 Celebrating Kyrie Irving's ties to Australia. Though he helped bring the United States a gold medal this summer, Kyrie Irving was actually born in Melbourne, Australia. 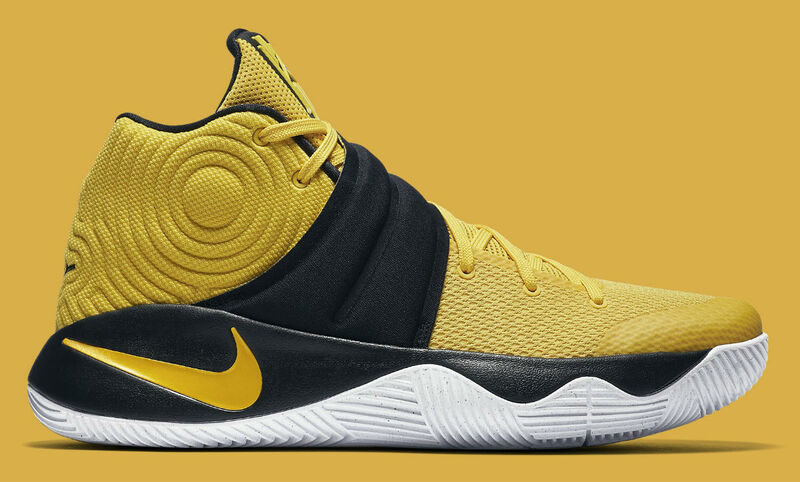 Throughout his time with Nike, the brand has paid homage to Irving's Aussie roots, and will continue to do so with the next Kyrie 2 colorway. 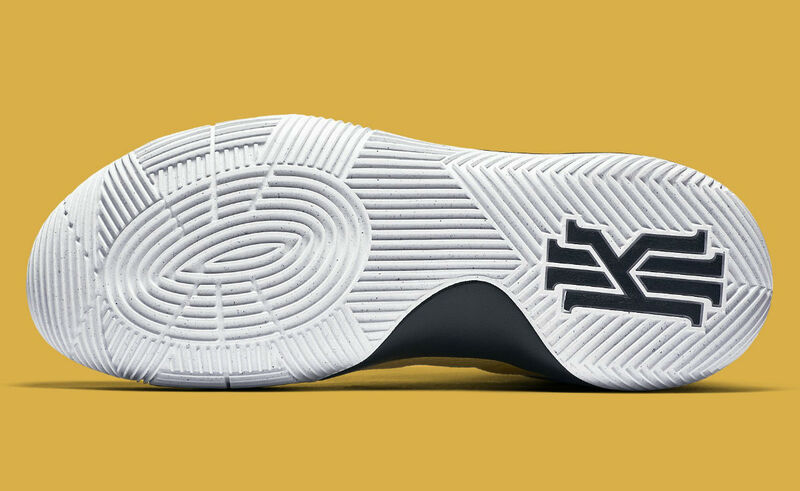 Inspired by the Land Down Under, the shoe sports a Tour Yellow mesh upper, the backdrop for a black strap system and midsole. 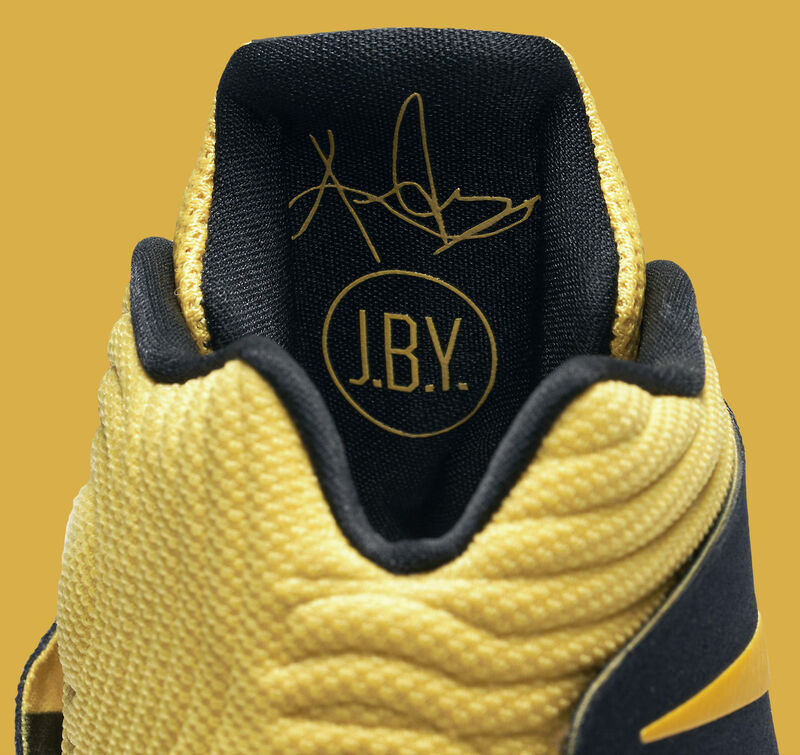 Black also fills the tongues and various logo hits, while a white outsole caps off the look below. 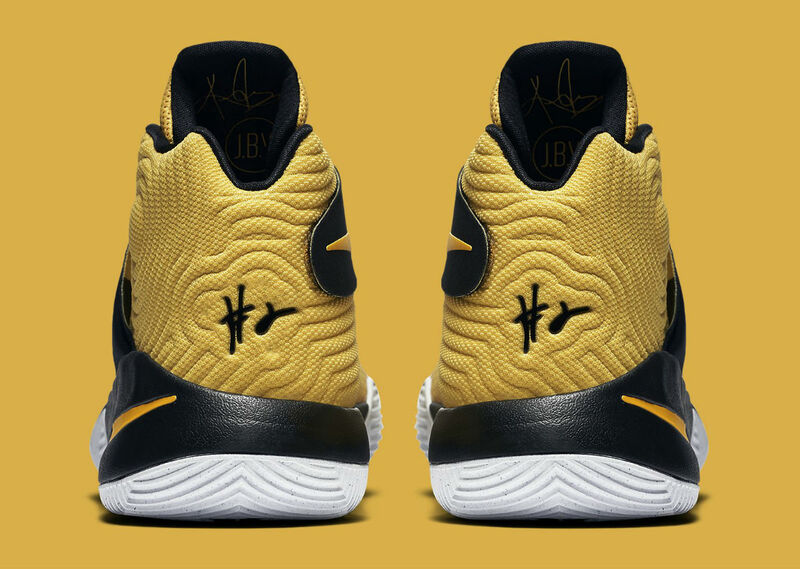 If the shoe looks familiar, it's a bit similar to the scrapped "All-Star" release from earlier this year. 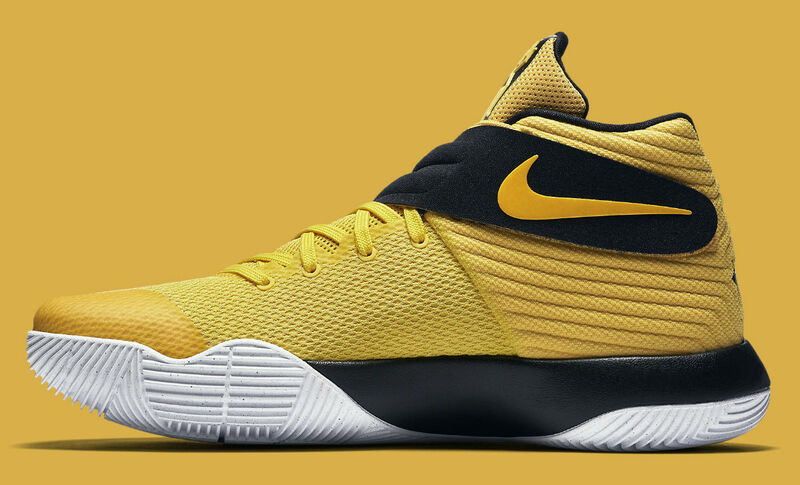 The "Australia" (or "Tour Yellow" Kyrie 2 releases next Saturday, Sep. 10 for $120 at nike.com and SNKRS.